Recognizing the "NEEDS of TODAYS FARMERS" and the agricultural community, SPRAYFLEX SPRAYERS INC wants to build the MOST VERSATILE crop sprayer on the market today! SPRAYFLEX SPRAYERS are constructed with "heavy-duty" in mind but feature the lightweight ALUMINUM BOX BOOM . We are a small, Minnesota-based company with many big ideas for our product. 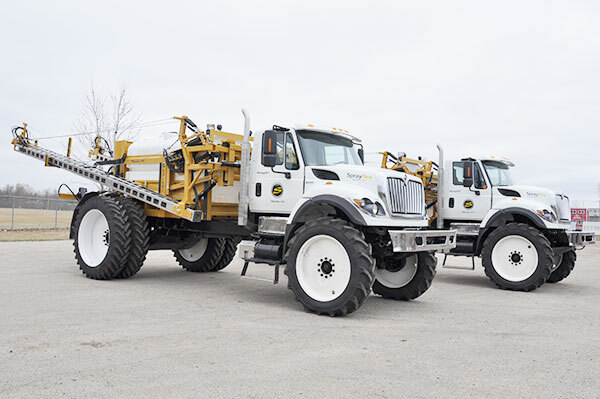 We feel there is a market for these sprayers and therefore we will sell the Sprayflex Sprayers ontwo important issues, speed and capacity, our unit is fast in the field, fast on the road, and minimizes water fill-ups. Tired of stopping work in the field to fill the sprayer tank up with water? We at Sprayflex Sprayers Inc have the solution for you. Workability, consumer friendliness, simplicity, efficiency, durability and effectiveness are the words that best describe the lightweight SPRAYFLEX SPRAYER. 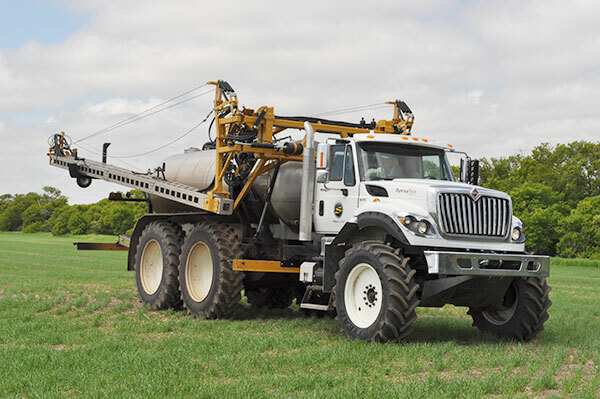 With the truck mount sprayer, the hydraulic system allows the user to fold and unfold the booms without leaving the cab. The fully articulating floating ALUMINUM BOX BOOM is available in 60 to 120 foot spans. Other features are 1250 and 1500 gallon poly tank, 1450 and 2000 gallon STAINLESS STEEL tank, 10 or 20 inch nozzle spacing and endless possibilities of options you can put on the sprayers. With the narrow travel width and easy fold design, you will move from field to field quickly, safely and with overall ease! Sprayflex Sprayers are "BUILT for the NEEDS of TODAYS FARMER" while costing a fraction of the price of the competitor's sprayers while doing the same job. See how a versatile lightweight SPRAYFLEX SPRAYER that will retain its high resale value can fit your needs. Call us today@ 1-855-777-3539 and visit with Jay Mercil. We hope you find our Sprayflex Sprayer a good investment and we hope to hear from you soon. THANK-YOU for taking the time to view and navigate through our website.